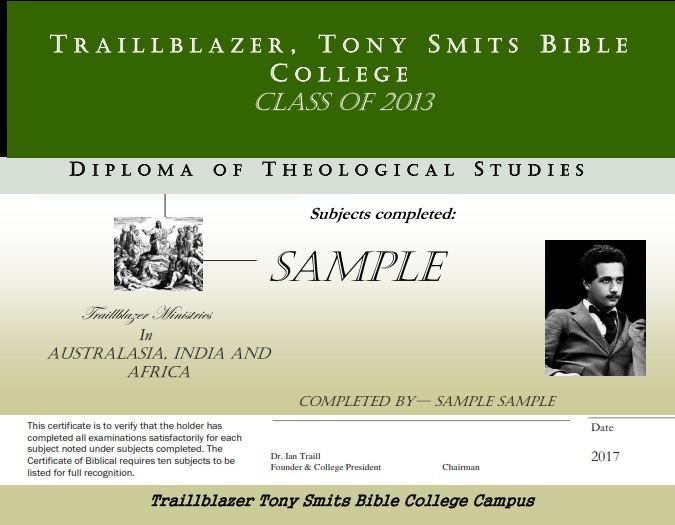 Traillblazer Ministries offer to you an online Bible College course. We will present a set of Bible studies on specific topics in our Diploma of Theology, that you can complete in your own time and in your own home. We will cover ten subjects in our Diploma of Theology. On successful completion you will receive a Diploma of Theology. Please note this level at the moment is not recognised or credited by any Nation or other Bible colleges. Students study books must be returned to us for assessment by email. We require an electronic copy for our filing system.